This is a story about how love can be confusing, contingent and asymmetrical, and about how love can fail. At first glance, Tom and Summer seem like the perfect pair. They both listen to the same music, love the same things, but… Tom's a hopelessly romantic greeting card writer, and Summer is a relationship cynic who wants anything but to end up like her divorced parents. Tome was sure that Summer was one for him, but it wasn't so. As Tom’s much younger and much wiser sister pointed out: "Just because she likes the same bizarro crap you do doesn't mean she's your soul mate." At the beginning of their story she tells that she doesn’t believe in relationships or boyfriends, but he believes he can change it. As Tom realizes loving Summer can't make her love him back, Summer learns it's possible to share a life with someone else -even if it's not Mr. Right Now. This is the breakup film for anyone who's given more than they've gotten - and picked themselves up once they realize it's possible to move on. 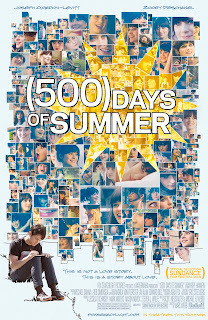 Buy a DVD "(500) Days of Summer" from Amazon!